Summer Reading For Your Woke Kid : NPR Ed Looking for books to feed your child's curiosity and ignite the social activist inside of them? 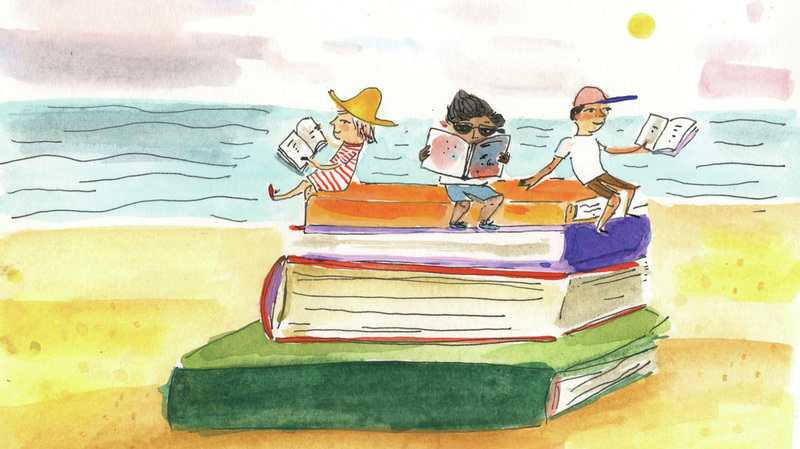 Here's our list of children's books to keep your child occupied all summer long. Social activist Innosanto Nagara wanted to find a fun book to read to his 2-year-old son that also talked about the importance of social justice. He wasn't looking for the typical fiction written for children. Instead, he was looking for unique narratives — by writers of color and/or authors who can speak about social issues through their own experiences. Nagara couldn't find any. So he wrote one. "Parents and teachers are realizing that what students read and learn affects how they see the world." said Deborah Menkart, Executive Director for Teaching for Change, an organization that puts together social justice reading lists to inspire children throughout the summer. "Give kids credit," says Stan Yogi, one of the authors on our list. "They have an innate sense of what's right and what's wrong. Being able to draw on that innate sense of justice through relatable stories is so important." Not all parents have the time to do what Innosanto Nagara did. For those who can't, we've compiled a list — with help from Teaching for Change — of books that frame big issues through a lens children can understand. Every letter is the definition of a different social movement. For F — kids learn about Feminism, when we get to G - kids learn about the meaning of grassroots organizing and why its important. This beautifully illustrated ABC book uses rhyming and alliteration to get your little reader excited about social change. If your child loves this work they may enjoy the author's new work My Night at the Planetarium, which illustrates the important role the arts play in resistance. A heartwarming story of a young boy, Danny, who fights gender stereotypes by dressing up as a princess for the school parade. The author, Laurin Mayeno, was inspired to write this from her own experience with her son Danny. "Sometimes as parents we must unlearn things we learned growing up," says Mayeno. The book is bilingual, in English and Spanish, and discusses gender expression from a child's point of view. A bilingual tale, in Arabic and English, about a Syrian family's flee from home. The book explains the refugee experience through beautiful illustrations. This book takes your child through a list of revolutionary women who changed history through activism and radical thought. Young readers meet influential leaders from the painter Frida Kahlo to anarchist political activist Emma Goldman. This coming of age story follows a young Muslim girl named Amina as she deals with the ups and downs of growing up, friends moving away, and preparing to read from the Quran in public for the first time. While dealing with the pains of adolescence, Amina must also process the vandalism of her local mosque and the Islamophobia that follows. This book tells the story of internment camps for Japanese-Americans during World War II. We follow the story of Fred Korematsu, a Californian, who believes these acts are unconstitutional — so much so, that he brings a case against his internment all the way to the Supreme Court. This book is the first in a series of books that aims to influence young readers to fight for justice in their community. Starr Carter is a 16-year-old girl who's navigating the two worlds of her upper-class prep school and the reality of her poverty stricken neighborhood. After she witnesses her friend getting shot and killed in a confrontation with the police, she must deal with the consequences of talking about what she saw. The author unpacks the complexity and weight of standing up for what you believe in at a young age. A previous version of this story misspelled Innosanto Nagara's last name as Nagra.